Announcer: In a world filled with Hollywood blockbuster’s, romantic comedies, and Oscar darlings, there can only be one ultimate Music Movie. Not quite. But what better way to grab your attention than to transport you away from the mindset of what you’d think a blog on a Lancaster theatre’s site would look (and sound like) than to make you think about one of the most widely-recognizable ways a movie is presented? For this week’s piece, I’d like to focus on some of the most instantly recognizable movies that have amazing soundtracks, but with the caveat of them not being actual musicals. So, as great as Mary Poppins or The Sound of Music may be, the focus of this article is skewed a bit to focus on a great film made even greater by its soundtrack. Also excluded are any of The Beatles movies, or documentaries. For brevity’s sake, I’m limiting myself to just a few pop style soundtracks for this post. This Tom Hanks vehicle is focused around the life of Forrest Gump – an innocent man wh o was amazing at ping pong, acts of heroism, and fishing for shrimp. This film won Academy Awards for best actor (Hanks), best director (Robert Zemeckis) and also took home the honor in four other categories (how Gary Sinise did not win an Oscar that year for his role, is a mystery for the ages). 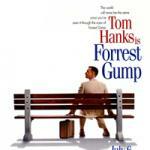 Anyway, this film sparkles as Gump’s life touches on historical moments in the past 50+ years. So why is it on this list? As the film progresses through the years, it’s paired with some of the most noteworthy songs of the times. The Byrds “Turn, Turn, Turn”, Three Dog Night “Joy the World”, Lynyrd Skynyrd “Sweet Home Alabama”, Beach Boys “Sloop John B”, CCR “Fortunate Son”, and the list of hits goes on. The movie really was a stepping stone for one of Hollywood’s great actors (Hoffman) and told a story in a way that nobody was expecting to see it. I really won’t elaborate a ton as a lot has already been said about this soundtrack penned by Simon & Garfunkel. “Sounds of Silence” and “Mrs. Robinson” help make this coming of age film about Dustin Hoffman and his escapades into a cinematic masterwork. 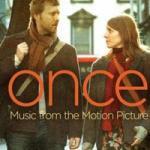 Glen Hansard, lead singer of the band The Frames, acted in and penned the songs in t his sad love story. On the upside, the songs were so good that he started a band called “The Swell Season” to ride the waves made by this powerful music. 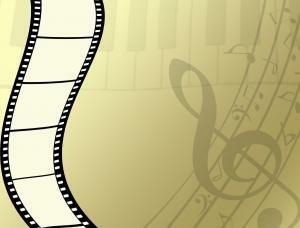 To that point, the main song “Falling Slowly” actually took home an Oscar for Best Original Song. Glen Hansard’s group, The Frames, had been big in the folk / indie-realm for a while when this movie hit, and it exponentially raised the awareness of his songwriting prowess. This movie was eventually turned into a Broadway musical, too.